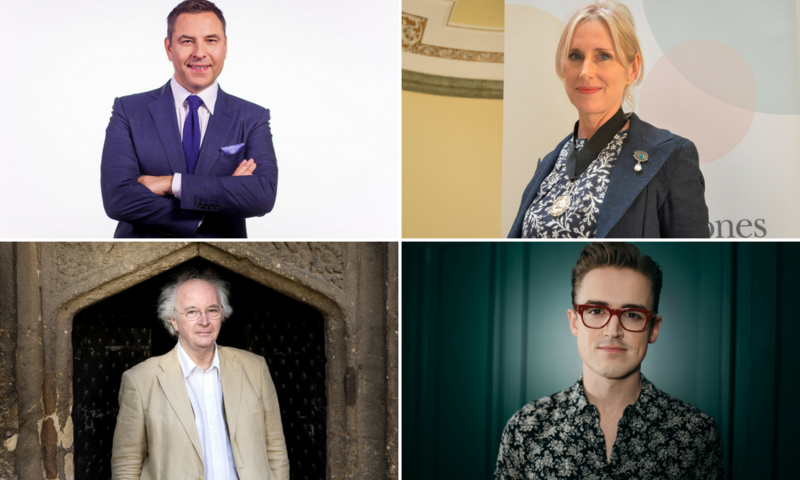 Blockbuster highlights include David Walliams, Philip Pullman, Lauren Child, Tom Fletcher, Cressida Cowell, Harry Hill, Terry Deary & Martin Brown, Dermot O’Leary, Chris Riddell, Nadiya Hussain, Lucy Worsley, Ade Adepitan, Julian Clary & David Roberts, plus the new Share The Story initiative. Friday 28 September to Sunday 7 October 2018. General Booking from 10 July. And get ready for another exciting year! It’s that time again and we can’t wait to share our line-up with you. Opening this year’s 10-day festival line-up is the amazing Waterstone’s Children’s Laureate, Lauren Child, which feels like the best possible start. Lauren has done our awesome red chair illustration this year too! After the opening night the excitement doesn’t end. We’re saying a big Bath hello to Philip Pullman, David Walliams, Tom Fletcher and Cressida Cowell. Also appearing are Lucy Worsley, Jess French, Jessie Burton, Katherine Rundell and a very special event with Zindzi Mandela. We’re celebrating 25 years of Horrible Histories with Terry Deary and Martin Brown. There’ll be lots for our youngest bookworms too – The Gruffalo, Maisy, Paddington, Peter Rabbit and Pip & Posy. There’s something for everyone. 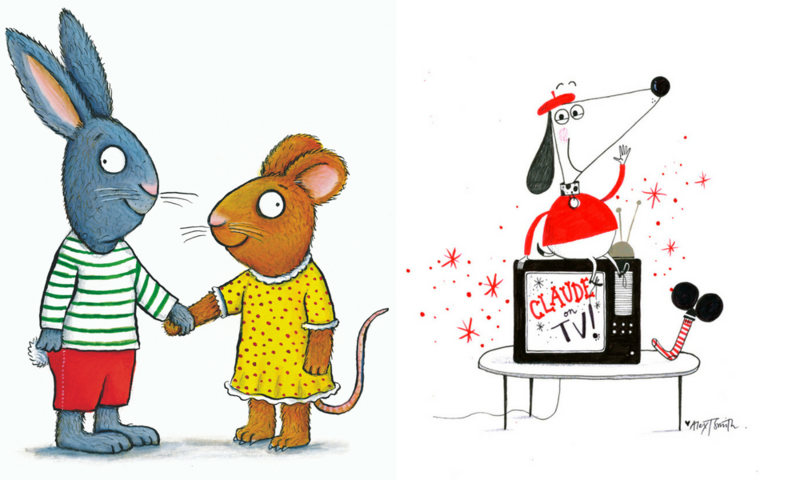 Authors, illustrators, storytellers, modelmakers, dancers – we’ve got them all! 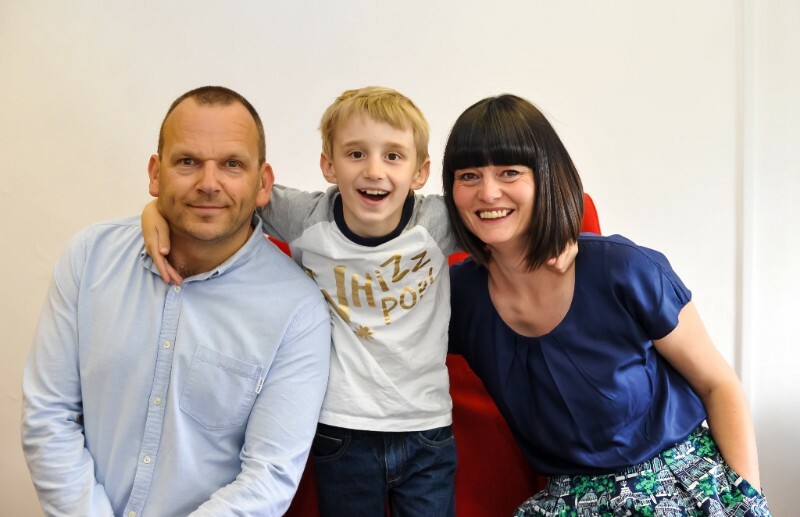 Do take a minute to find out more about the new Share The Story scheme. With your support, it’ll help us reach more children and families than ever before – to help them discover the magical spell that can only be cast by a book. the UK’s best selling author (of all books as well as all children’s books for the 10thyear running), David Walliams, best known for Mr. Stink, Gangsta Granny, Billionaire Boy, The Boy In The Dress and many other celebrated books. One of the most highly acclaimed authors of the world, Philip Pullman, will tell the audience how he builds his fantasy worlds, creates his brave and resilient character and what it takes to be a successful children’s author. Horrible Histories celebrate their 25thanniversary this year and to mark the occasion, author Terry Deary is making a special appearance, with illustrator and festival regular, Martin Brown. Children’s author, YouTube sensation and the former lead vocalists and guitarists of the band McFly, Tom Fletcher, will be coming to the festival for the first time. Internationally celebrated author of the How To Train Your Dragon and The Wizard of Once books, Cressida Cowell, is back by popular demand. 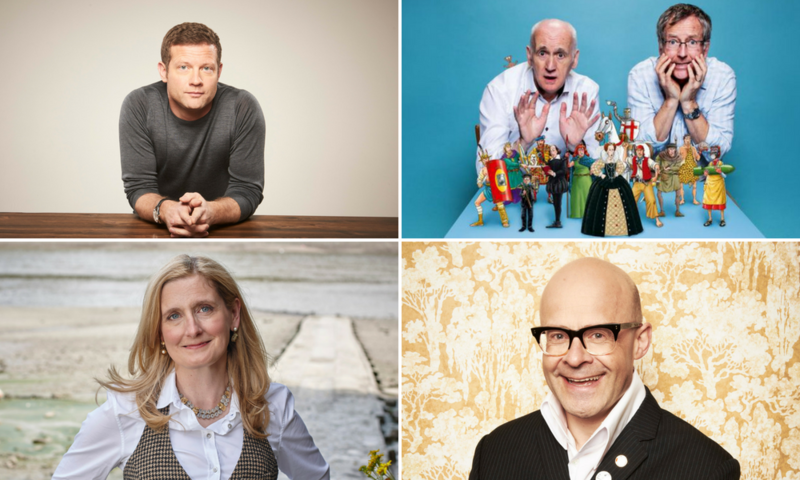 Festival fans will also have the chance to see Dermot O’Leary, Julian Clary and David Roberts, Lucy Worsley, Jess French, Harry Hill, Chris Hoy, Katie Thistleton and Lindsey Russell. 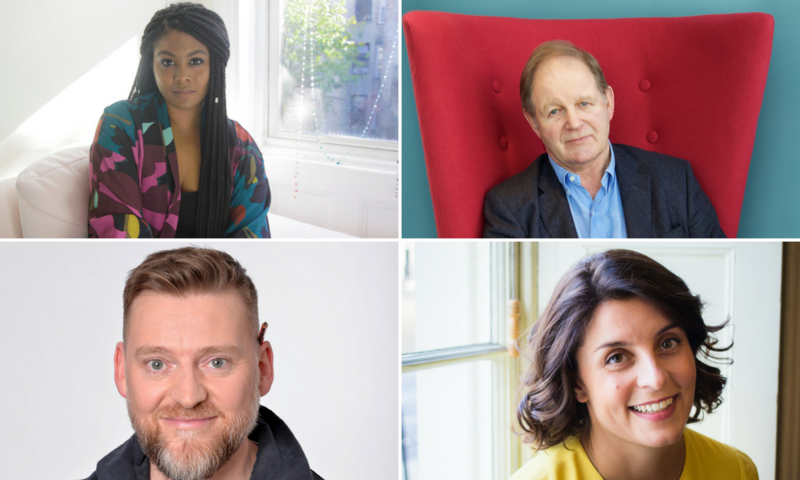 Plus, Nadiya Hussain, Ade Adepitan, Robert Winston and Chris Riddell. 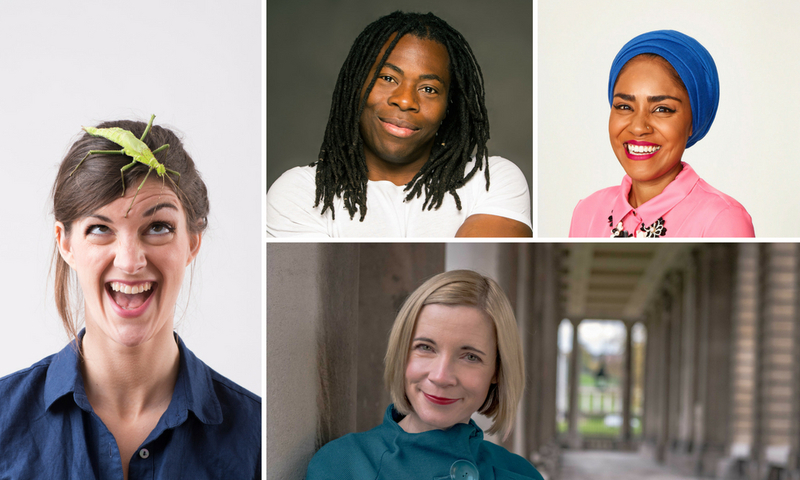 This year’s programme has a plethora of authors, illustrators, comedians, historians, professional bakers, TV presenters, and general all-round legends in the world of children’s literature. There are a variety of special events this year too. Zindzi Mandela was only 18 months old when her father, Nelson Mandela, went to prison. In her book Grandad Mandela she brings her father’s legacy to a new generation. Michael Morpurgo will retell the much-loved story by Raymond Briggs, The Snowman. Ahead of the Hollywood blockbuster of the same name, author of Mortal Engines, Philip Reevewill talk about the inspiration behind the book turned film. Jessie Burton, author of The Miniaturist, will be Reimagining Fairy Tales, turning traditional stories on their heads and introducing the audience to her book The Restless Girls. If you’re interested in events with strong girls and women at their heart then you might like – Fantastically Great Women Who Made History with Kate Pankhurst; Bold Women In Black History with Vashti Harrison; Suffragette: The Battle for Equality with David Roberts; and master storyteller Marcia Williams takes us on a journey of creativity with painter and feminist icon, Frida Kahlo and renowned Kenyan environmental political activist environment pioneer, Wangri Maathai. The festival has also collaborated with National Theatre Live to show a screening of their performance of Peter Pan in the Little Theatre. And, as if that wasn’t enough, the festival will also offer events celebrating the nation’s favourite characters such as Maisy, Claude, Pip & Posy, Paddington, Little Miss Inventor, Peter Rabbit, Olobobs, the Gruffalo, Beano, Secret Seven and of course, Harry Potter! With huge thanks to our Creative Partner Bath Spa University for their support and to our strategic partners Wessex Water, Kingswood, Bath Business Improvement District, Prior Park Schools, The Royal High School Bath, Visit Bath and thanks also to Novia, Woolley Grange, First News and Centurion who supply the coaches that enable our Schools Programme to flourish. Thank you all.